Is your Access Database is get corrupt somehow? 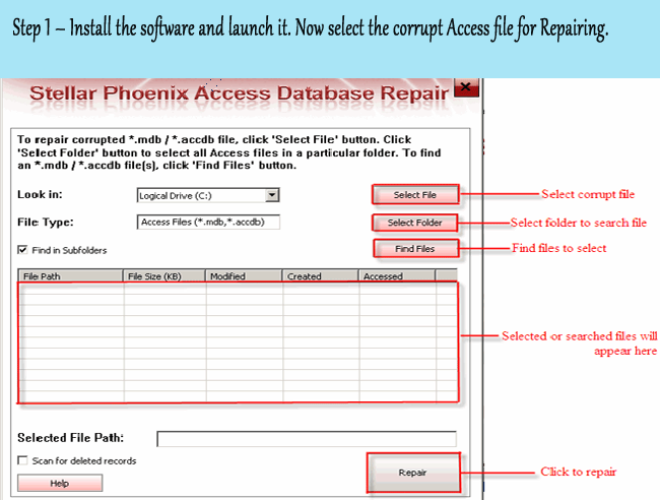 Looking for some best fixes to Repair Corrupt Access Database Without Losing Any Data? Well if yes, then this tutorial will guide you in right direction for fixing all this mess up easily and instantly. As, it contain complete information about Access Database Corruption whether it’s related to its causes, or the error that commonly encountered after the occurrence of corruption issue. Along with that the post also contains the manual as well as software solution. So let’s get started to explore complete details about Access Database Corruption. If you are using Access Database then you might also know that it is a Microsoft proprietary Database Management System (DBMS). Like other Microsoft applications, MS Access is also very popular and it is used in many company and organization and it is effective as well as it is user-friendly. Microsoft Access has Relational MS Jet Database Engine with simple to grab user interface at the front and development tools running at the back. It is involved with object-oriented programming ability and several software development tools that can be used to develop different client server applications. You might also know that MS Access database has two types of database files format named as .MDB (2003 and earlier version) and .ACCDB (2007 and higher version). 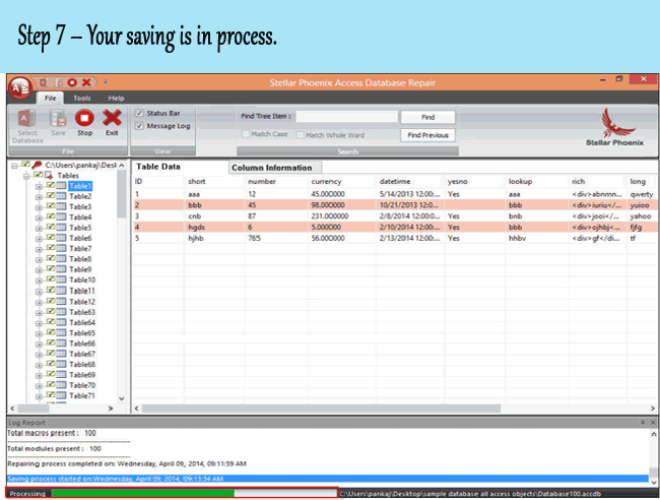 The easy to use interface has made this DBMS a favorite choice for many corporate. Though database files are often prone to corruption, which can lead to the extremely loss of critical data loss that is present in it. Similarly MS Access database is also prone to corruption. 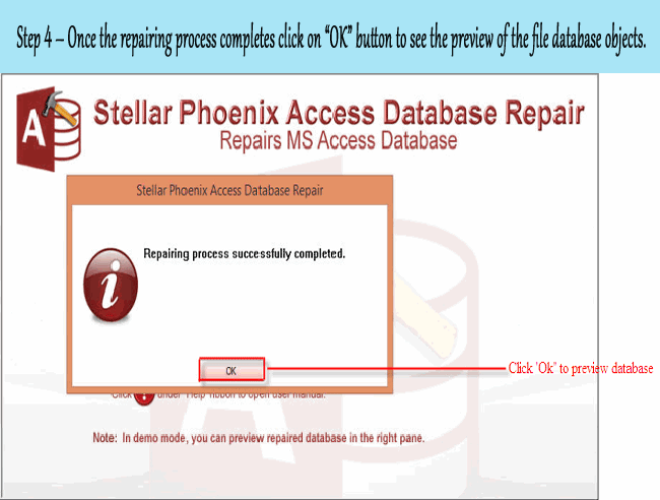 This post is for recovering corrupt database of Access server without losing any data and you will also learn to know about reasons behind MS Access Database 2016 corruption and solution how it can repaired and recovered. What Are The Common Reasons Of Access Database Corruption? Editing the Memo fields data frequently increases the chances of Access database to get corrupt. It generally occur form the problem with the VBA module which is not risky n the loss of data, but it is risky because it may damage the database design. If Access database file get infected with virus and when anybody open the access database, the infection gets spread to entire database files and gets corrupted. 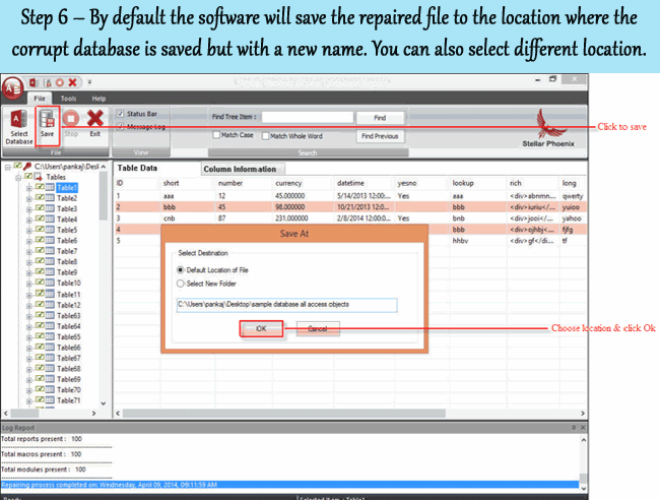 If the same database accessed by multiple users having different Jet Service packs and if they are installing updates, then even a small differences in the MDB file format can cause database to get corrupt. Improper installation of third party application or plug-ins for Access can also lead to the corruption of database. Sometimes hardware failures such as available of bad sector on hard drives and lost packets on network is also one of the reasons behind database corruption. Sometimes, availability of few bugs in the MS Access and Jet Engine software are themselves responsible for the database corruption. 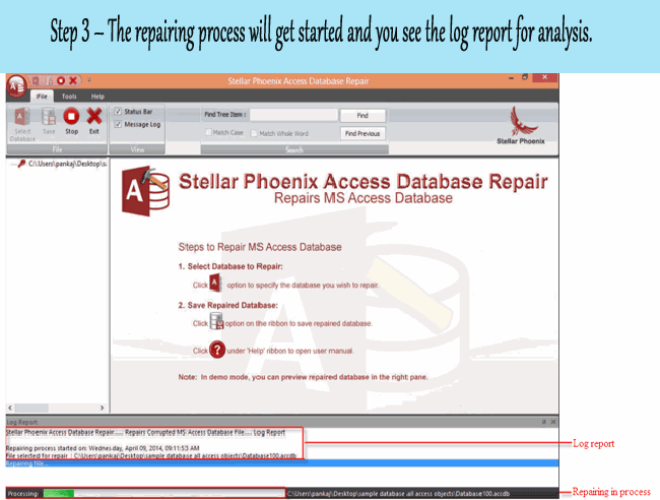 Improper system shutdown while your Access database files was opened and you were doing some work on it, is also one of the reason that can cause corruption in MS Access database. So, these are some common reasons for the corruption of Access database 20007/2010/2013/2016 and when you face such problem you lose access to all its important database components and face a vital data loss. One of the example mentioned below for the access corruption, just take a look at it. The reason behind the occurrence of error message is due to Access database corruption. But you do not need to worry at all. As there are some solutions that you can follow to Troubleshoot Access database corruption and restore them back. 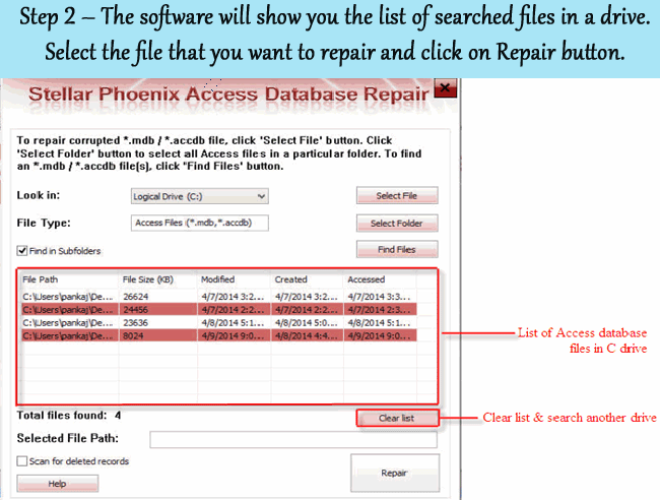 How To Recover Corrupt Access Database File Without Losing Any Data? In the next window select for all database objects that you want to import and click to the Ok option. If you have an updated, valid and proper backup of this Access database, then you can make use of that specific backup for restoring all the lost data. So, always try to maintain the proper backup of your Access Database . That’s all I hope your problem get solved. You need to change the path shown above for MsAccess.exe if you installed it to different location. After the completion of the de-compile procedure, you should close access and then re-open it compile all modules again. 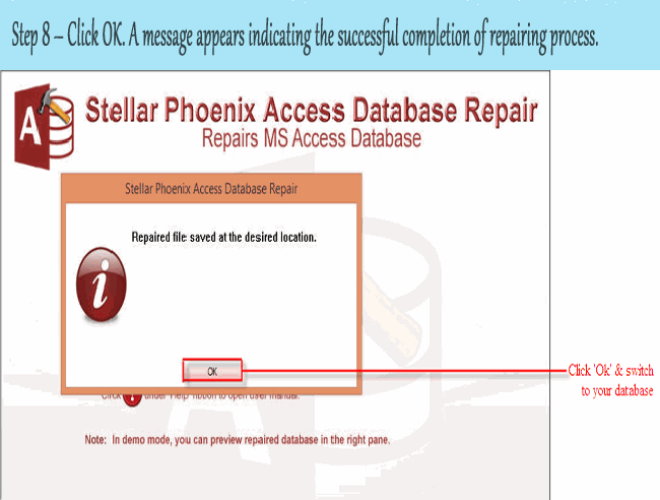 If your problem still exists, then it is highly recommended that you must take help of third party MS Access Database Repair Tool. 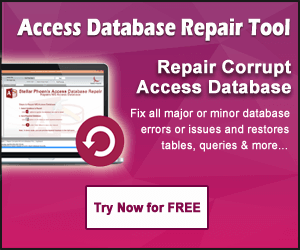 This software will help you to fix each and every corruption and errors of the Access database. 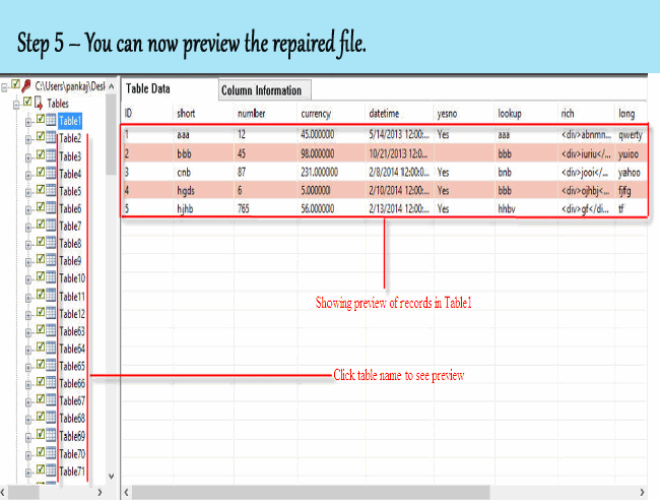 It comes with advanced scanning algorithm that is very much effective in repairing and recovering the complete database files and re-establishes all database components. 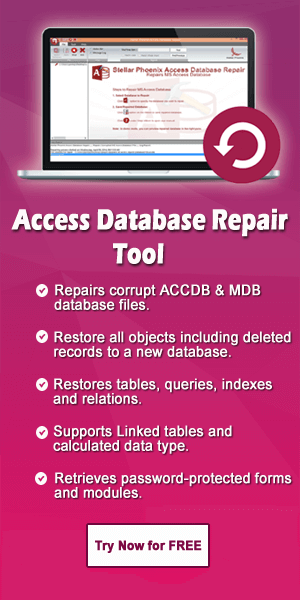 This tool is capable enough to repair corrupt .mdb and .accdb file format of Access database. It comes with self descriptive user interface and therefore a non-technical users can also easily operate this tool and easily retrieve back all the Access database objects such as tables, forms, reports, queries, restraints, macros, database relationships and other data. 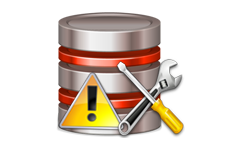 If you want a secure and complete Access database recovery then all the mentioned fixes in this post is just perfect. But it’s up to you whether you want to try the manual fixes or want to go with the professional recommended solution. If you have technical knowledge then you can take risk for the manual fixes. But if you don’t have knowledge of such then it’s safe to make use of the recovery software. 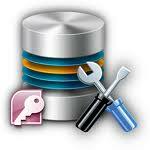 All n all both the option of Access Database Recovery you have in this post.